The time is passing quickly, so without further ado, we have officially started preparations for the 5th(!) edition of GeeCON. 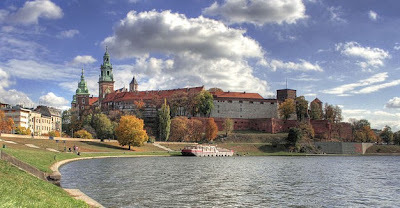 In 2013 GeeCON, starting May 15, is coming to Kraków again. Look how much fun we had here in the past: 2011, 2009. Armed with last years’ experience, we have started planning the anniversary edition early. We will continue our quest for the best formula, tweaking it in all the necessary places. GeeCON has been constantly growing from the start, and we expect this trend to last. We have started inviting speakers, and we are trying to agree on the ever-growing candidates list, so expect first names to be published here very soon. The open call for papers will start in December and will last 6 weeks, with a number of proposals being iteratively accepted. The rules are described here. As a participant, you should expect even more attractions than usually – cinquième édition oblige!